Gov. Chris Christie fired state education commissioner Bret Schundler this morning after Schundler refused to resign in the wake of the controversy over the state’s loss of up to $400 million in federal school funding. A deputy commissioner will be named acting commissioner while the governor searches for the next person to fill the $141,000-a-year position, two officials briefed on the situation said. Rich Bagger, Christie’s chief of staff, asked Schundler to resign on Thursday evening because he “misled” the governor and senior staff about what happened during a presentation in Washington, D.C., the officials said. On Wednesday, Christie publicly said Schundler had tried to give the correct information to a bungled question during the presentation, but video from the U.S. Department of Education released Thursday proved that did not happen. Upon posting the YouTube clip yesterday of a Chris Christie press conference, I remarked how Christie had impressively turned the tables on an issue that could have embarrassed him. A clerical error by his education department–failing to list 2008-2009 funding levels–resulted in the loss of $400 million in federal education funding. Why, Christie asked, didn’t an Obama administration bureaucrat just pick up the phone and ask New Jersey’s education department for the right number? Christie had relied on Schundler’s insistence that his team had provided the data to the Obama administration to blast the White House for being too rigid about paperwork rather than relying on the data. The Department of Education responded by publishing the review video, putting Christie in a tough spot. He had little choice but to give a strong reaction to the revelation. Not that Schundler didn’t deserve it, if the evidence is complete. Not only did his team botch the presentation, he apparently deceived his boss about the situation rather than just admit to the error. Executives can deal with failure, but deception is another thing entirely. If an executive can’t trust his staff, then he or she has to find replacements more worthy of trust. That’s probably more true in politics than in the private sector, but it’s true enough in all arenas to know that Schundler couldn’t expect to keep his job after this. By taking action, Christie can minimize the embarrassment, but it’s not going to be an overall plus for him; it will just limit the damage and bring the incident to a swift conclusion. Ousted state Education Commissioner Bret Schundler today said he asked Gov. Chris Christie to be fired from the work he considered his “life’s dream,” rather than resign, so he could receive unemployment benefits to pay his bills. Apparently Schundler, “once hailed as a rising star in conservative circles,” has gained a new appreciation for taking advantage of federal assistance. Back in the day Brett Schundler was the rising star of the NJ GOP, making his mark as the uber-conservative Mayor heavily Democratic Jersey City. He made his name in the ‘cut every benefit cut every everything’ wing of the party. But today when Gov. Christie (R) asked him for his resignation as state Ed Commissioner result of errors and misrepresentations from Schundler in a matter costing the state $400 million in federal “Race to the Top” money he asked if he could be fired instead so he could collect unemployment benefits. Schundler is the former mayor of Jersey City (a Democratic city) and a candidate for Governor in 2001. 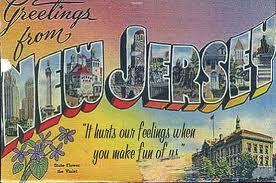 But accountability doesn’t reach to the top, at least not in New Jersey.